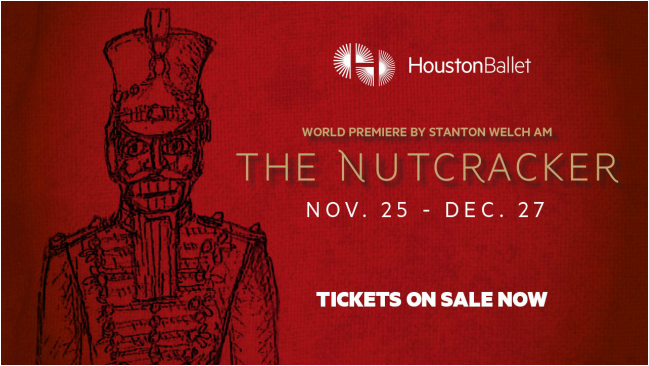 Houston Ballet presents the highlight of the 2016-2017 Season with a joyous new production of The Nutcracker by Stanton Welch AM. With grand sets and costumes by acclaimed British designer Tim Goodchild, a Christmas tree that touches the sky, and an expanded cast of characters, this exquisite production features everyone and everything audiences love about The Nutcracker. I will be purchasing group tickets for Thursday, December 8th, at 11 am. Tickets are $15.63 per person which includes Paypal fees (general admission tickets for our seating are anywhere from $50 - $100.) Payment will be due no later than October 1st. I will need to pay for the tickets at that time and will release any requested seats that have not yet been paid for. All RSVP's will need to be received by June 30th, as I will need to call and reserve our seats at that time. (Tickets sell out by August.) Please RSVP with the number of tickets needed. We will need to be seated no later than 10:30 the day of. More details to come as the time draws near. If you have any questions, please contact Esther Miller. Thank you! !